A small canvas I finally found the time to finish. They always say things go in threes.... and right now I'm working on THREE massive blog makeovers. Call me Mrs Simultaneous. Ms Skull N Roses - this is a new online jewellery store, selling fabulous high-end sterling silver jewellery (with and without gemstones). Bang on trend - this goth look is highly fashionable at the minute, and the detail in the jewellery is just amazing. I took my inspiration from the Pre Raphaelites: Burne-Jones, Millais, Waterhouse, Rosetti... and deep, deep red roses. I am A Mother Seeking - not just a Mom site, Meredith is a specialist in child education and development, and has also published a book! The travel theme for her blog is representative of her journey through life and all its highs and lows. Plus she has the most stunningly photogenic kids! I found the maps in the 15th Century - all hand drawn, hand coloured, and made my own from around 8 of them. 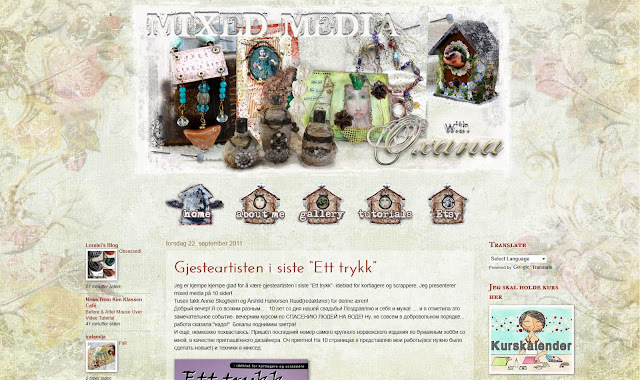 Mixed Media with Oxana - a fabulous mixed media artist, the blog uses all of Oxana's own artwork for the header, the buttons etc. Oxana is Russian, living in Norway, and writes her blog in all three languages (English as well). 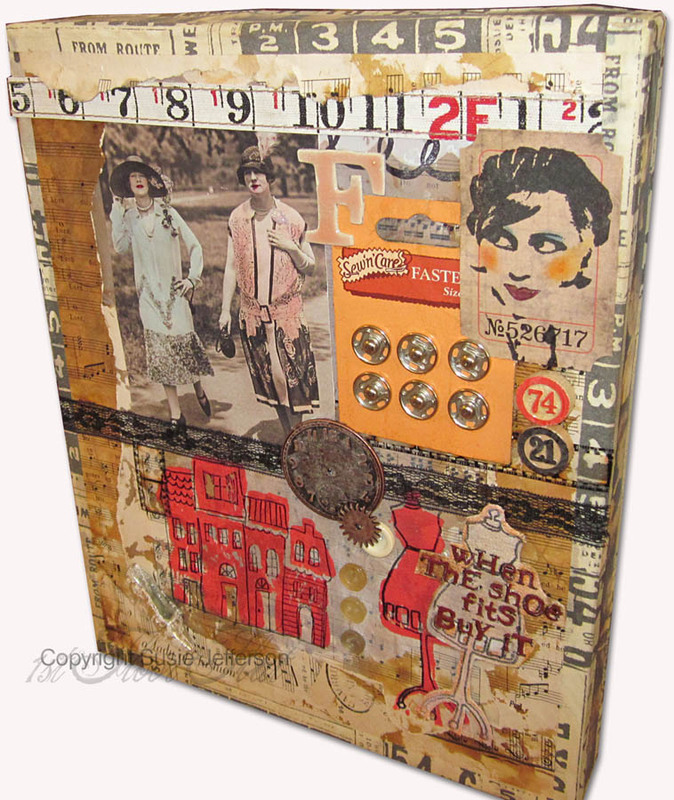 Her work is a stunning mix of vintage, paint, collage - and for sale on her Etsy shop. All of these have been big projects and I'm enjoying myself enormously! Yaaay for my new Speedy Gonzales computer! 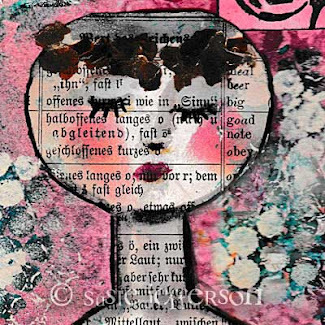 I'm teaching an art class tomorrow (Saturday) but will do my best to do some Pink Saturday visiting. Love Love Love all of these but my fav is the Rose. Beautiful! Happy PS! You certainly are a busy bee.I hope I got this right, you are updating three blogs at once.Oh my, that is a lot of work. You are crazy busy! Love these blogs! Do you make them into websites? Well you have been very busy indeed but put out a beautiful product. Thank you for visiting my blog! I can see you have been very busy! I love the title of your blog (I'm an Anglophile...I want to visit the UK SO much...one day I hope!!) Your art looks fabulous! delited to be able to return your FHC visit! luv to find your creativity ~ well done! All three bloggers are lucky ladies to have your artistic skill at work for them! I'm sure the will be thrilled with you work. You definitely have been busy. What you shared with us today is proof of that. Your work is always beautiful and the maps you made are awesome...I have always loved maps and globes. I am happy you are spreading your creativity. I think of you you every time I use your precious graphic for prayer. I love that canvas. 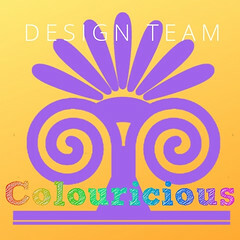 Beautiful designs these blogs. Happy Pink Saturday. You are amazing. I love your latest creation. 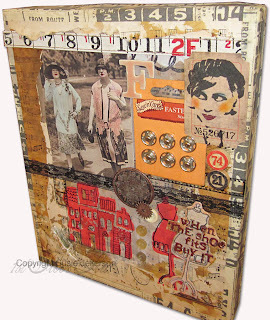 I cannot imagine trying to overhaul 3 blogs - I have trouble just keeping up with the one I've got! 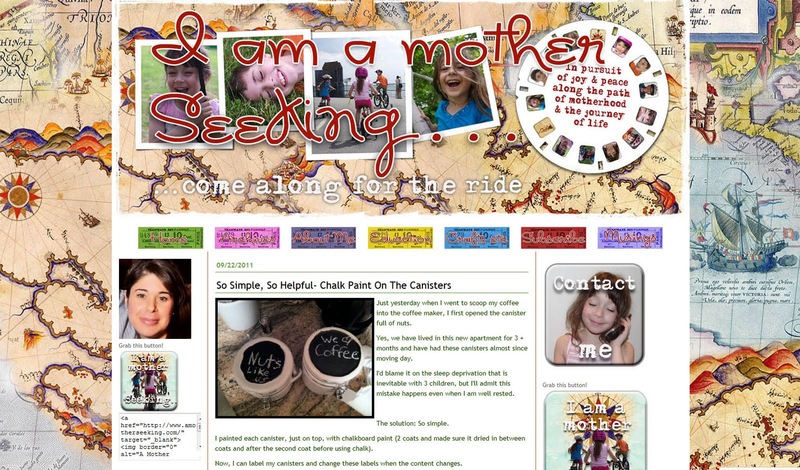 I absolutely LOVE that first blog makeover! I wouldn't care if she was selling DIRT, I would go to look at the beautiful background!!! You and your speedy computer and me and my frozen tree sloth one...LOL! Beautiful work Susie, as always! Thank you all so much for leaving a comment. Pink Saturday ladies: I'm sorry I'm sometimes late in visiting you in return as I often am out teaching on a Saturday, so with the time difference it's like to be a Sunday (my time) when I get back to you! I do as much as I possibly can on a Friday (my time) night. Hi Suzie, You ARE busy. Good luck with your updates and thank you for your visit on ps. This is late as we are out of town. Better late than never.